Continuum of Care and Continuum Management Corporation have 50 years of progressive property management experience for special needs populations. 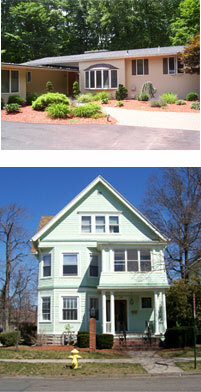 Continuum currently owns and operates 40 facilities providing residential and supported housing to more than 250 clients. Two additional properties are used exclusively for administration. The market value of property owned by Continuum exceeds $8.5 million. Continuum also provides case management support services to about 100 clients who live in properties owned by private third-party landlords. Continuum manages the rental relationship for about half of these clients and acts as the clients' liaison in maintenance and repair discussions. Similarly, Continuum supports these clients in their relationships with utilities and other service providers. Routine maintenance, including grounds keeping, moving, light repair work and painting is performed by the Continuum Facilities Management (CFM) work crew. This vocational program sponsored by Continuum of Care employs clients from Continuum's supportive housing programs and is supervised by agency caseworkers. This innovative program provides clients with employment opportunities and training while assisting the agency in maintaining its properties, including those in which the clients reside.